Presented by Bay View High School and sponsored by the War Memorial Center. Tours start/end at BVHS. 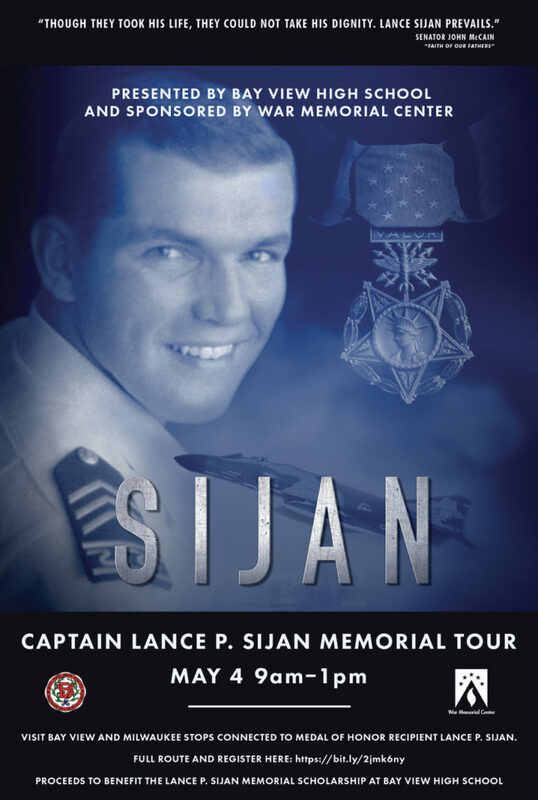 This all-ages, 2-hour tour is open to the public and includes spots in Bay View and Milwaukee that are connected to Medal of Honor recipient Lance Sijan, a third-generation Bay View resident who died in a POW camp during the Vietnam War. Tour prices start at $25 and all proceeds will go toward the Bay View High School Captain Lance P. Sijan Memorial Scholarship. Ticket prices, full list of stops, FAQs, more info and registration here.